Legendary engineers, producers and artists choose Waves. Audio professionals and artists have chosen Apogee and Waves products to make countless hit recordings. Now, Apogee Electronics and Waves have partnered to combine the best audio interfaces with access to special offers on your choice of any world-class audio plugins from Waves. 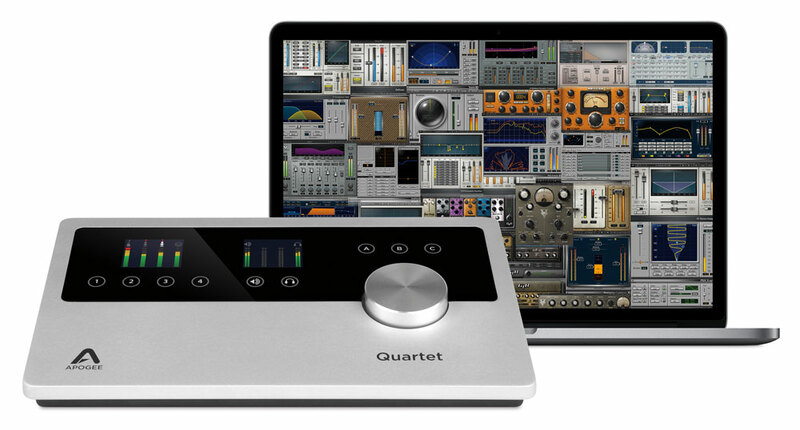 Customers who purchase Apogee ONE, Duet, Quartet or Ensemble new from an authorized dealer on or after April 4, 2016 can register their product and receive a discount code good for 25% off a single plugin or 35% off any Waves bundle plus an additional $100 voucher* that can be used towards their next Waves plugin purchase. These offers can even be applied to any special deals from Waves, giving you the ability to save up to thousands of dollars on tools that give you uncompromising sound quality. This special program empowers customers with big savings and the flexibility to design a studio around their needs. Whether you are a musician/producer, post production sound engineer, mix or recording engineer or all of the above, with Apogee and Waves you can get the studio and quality you want and save. Waves plugins are highly CPU efficient, allowing you to harness the power of your Mac to run more plugins at lower buffer sizes while maintaining low latency monitoring through Apogee’s audio interfaces. Apogee’s measurably superior mic preamps and transparent AD/DA conversion optimize your studio to achieve the best possible quality from your Waves plugins. 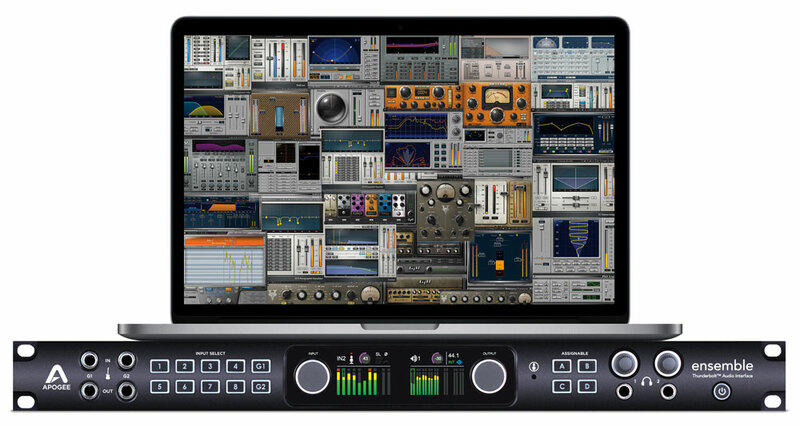 With an open native platform and recording software like Logic Pro X, you are free to expand your studio capabilities and use any plugins you’d like. * Voucher may be redeemed for up to 50% toward any bundle or upgrade, or up to 25% toward any plugin, off the price at the time of redemption. This Voucher may not be combined with multiple plugin discounts. Vouchers can only be used for one order and do not carry a remaining balance. Multiple vouchers may not be combined. Purchase Apogee ONE, Duet, Quartet or Ensemble from Authorized Apogee Dealer. If the registration is valid and qualifies, you will see a confirmation message that includes a redemption link for Waves discount and voucher codes on the same page as the list of your registered products. If the Apogee serial number or date of purchase is invalid, you will not receive either Waves voucher codes automatically upon registration. If you believe that you meet the qualifications for the program but did not see confirmation of eligibility upon registration, please contact Apogee technical support via online Live Chat (available from 7:00AM to 6:30PM PST Mon-Fri) or by submitting a support ticket. Use your discount code when purchasing from the Waves online store and get 25% off a single plugin or 35% off any Waves bundle. Unless otherwise indicated products won in a contest or giveaway are not eligible. Voucher may be redeemed for up to 50% toward any bundle or upgrade, or up to 25% toward any plugin, off the price at the time of redemption. This Voucher may not be combined with multiple plugin discounts. Vouchers can only be used for one order and do not carry a remaining balance. Multiple vouchers may not be combined. Customers that purchase Apogee products used, refurbished or from an unauthorized Apogee dealer will not receive access to Waves special deals. Customer must register the Apogee hardware product with a valid serial number and qualifying purchase date via Apogee’s website to receive Waves discount and voucher codes. 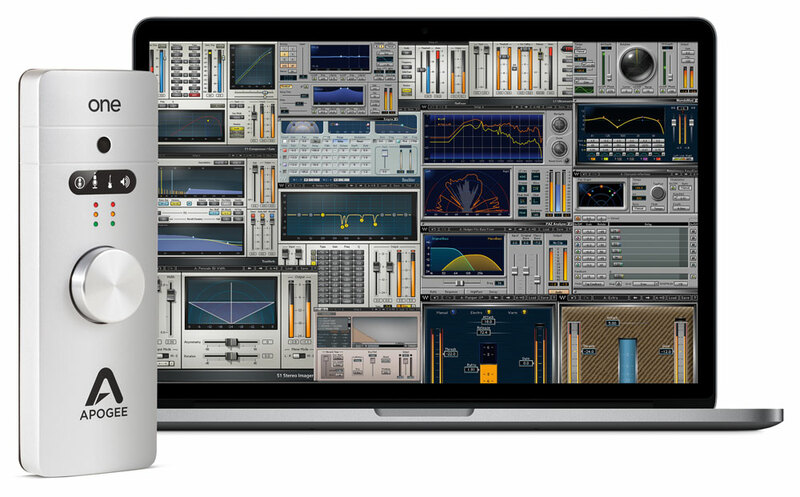 PLEASE NOTE: THE WAVES DISCOUNT AND VOUCHER CODES ARE NOT INCLUDED IN THE APOGEE BOX. Q: I purchased my One/Duet/Quartet/Ensemble prior to April 4th, the beginning of the new Waves program. Can I get the Waves special discounts? A: No, unfortunately this is only open to customers who purchased on or after April 4th, 2016 and while the program is in effect. Q: Customer registered their Apogee product but did not receive the Waves discount or voucher codes, what should they do? A: If the customer meets the requirements of the program, they should contact Apogee’s technical support via online Live Chat (available from 8AM to 7PM PST Mon-Fri) or by opening a support ticket: https://apogeedigital.com/support/contact-support. Q: I purchased an Apogee product after April 4th, 2016 However, I did not see anything on or inside the box about this promotion. Am I still eligible? A: New Apogee ONE, Duet, Quartet or Ensemble’s purchased on or after April 4th, 2016 and during the life of this program will be eligible to receive the Waves discount and voucher codes. When the customer product registration is complete they will receive their Waves discount and voucher codes. If they do not receive Waves discount and voucher codes at the end of the process of registration, the customer should contact Apogee tech support. 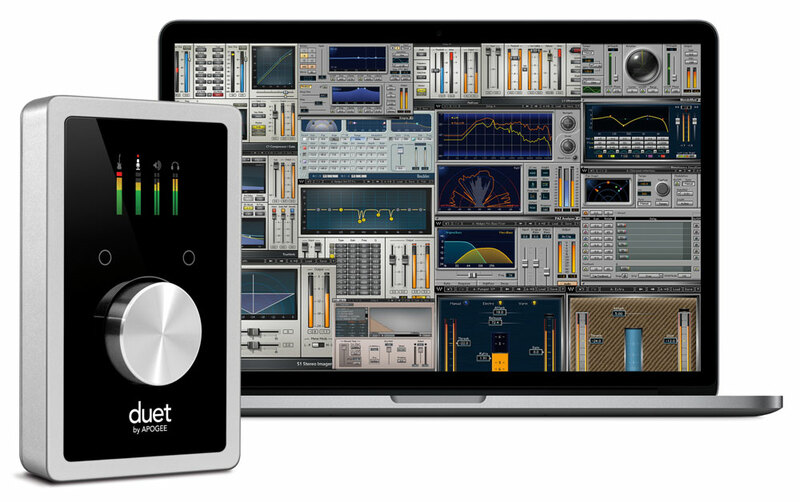 Q: Is there any difference in the price of the Apogee products with or without the Waves vouchers? A: No, the price of these products is the same regardless of whether or not the customer chooses to take advantage of the Waves special offers. Q: Is Apogee Symphony I/O or Symphony I/O Mk II eligible for these Waves special offers? Q: Can I combine the discount and voucher codes? A: No. The discount code and voucher code can only be used on separate transactions and cannot be combined. Q: Is there a new SKU for products that come with the Waves special offers? A: No. A Waves discount code and voucher code are provided to the customer when they register their eligible Apogee product online. Any existing Apogee inventory a dealer has for these products sold after April 4, 2016 and for the duration of the program, can be registered and the customer will receive the Discount coupon and voucher codes. Q: I registered via Apogee’s registration App that popped up on my computer. Where do I go to get access to Waves special offers? 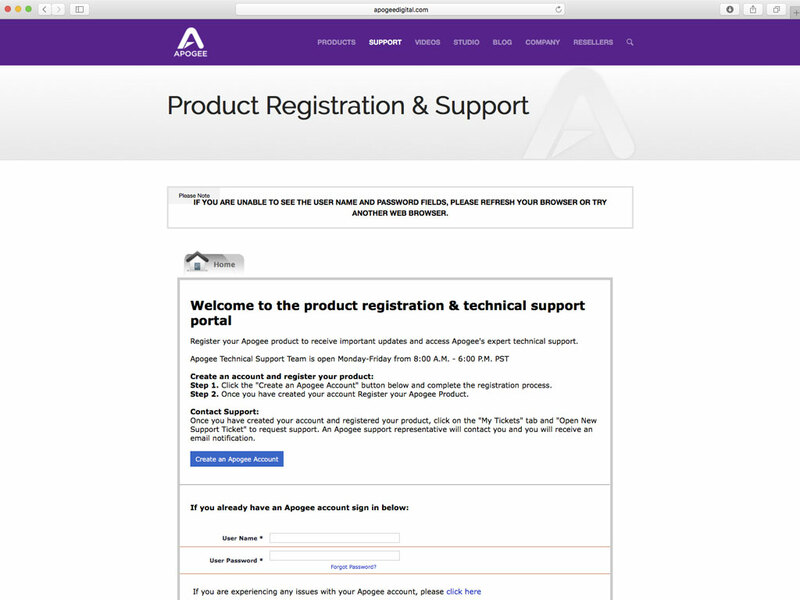 A: You will need to log into Apogee’s registration and support portal: https://apogeedigital.com/support/contact-support. If your registration was submitted correctly, you should see a confirmation message that includes a redemption link for Waves discount and voucher codes on the same page as your list of registered Apogee products. Q: Do I need to use the same login information from Apogee’s site to redeem the special offers on the Waves website? A: No. 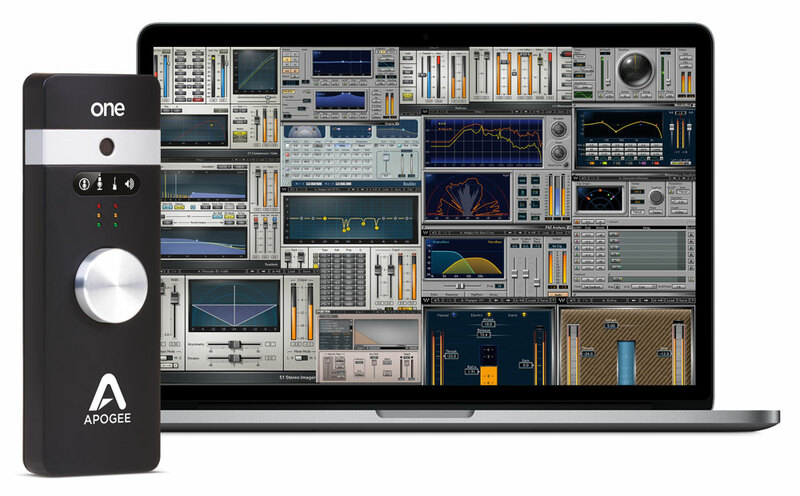 You must have and utilize a Waves user ID to purchase any Waves plugins – this is not the same as your Apogee user ID. If you don’t already have a Waves ID, you can create one here: https://www.waves.com/create-account. Q: I purchased a used/refurbished Apogee product, can I get the Waves special offers? A: No, this program is only for new products purchased through authorized Apogee dealers. 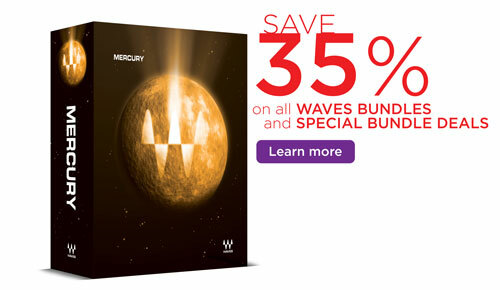 Q: Are the Waves special offers available for Avid’s Pro Tools | Duet or Pro Tools | Quartet? A: No, only new Apogee branded products purchased through authorized Apogee dealers qualify for this program. 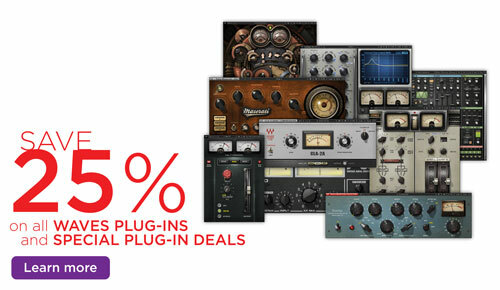 Avid’s Duet and Quartet audio interfaces do not come with these Waves special offers.